My husband has been working with secondary school students in an afterschool computer science club. I’ve been helping him create some lights that the students have been learning to program on a Raspberry Pi. 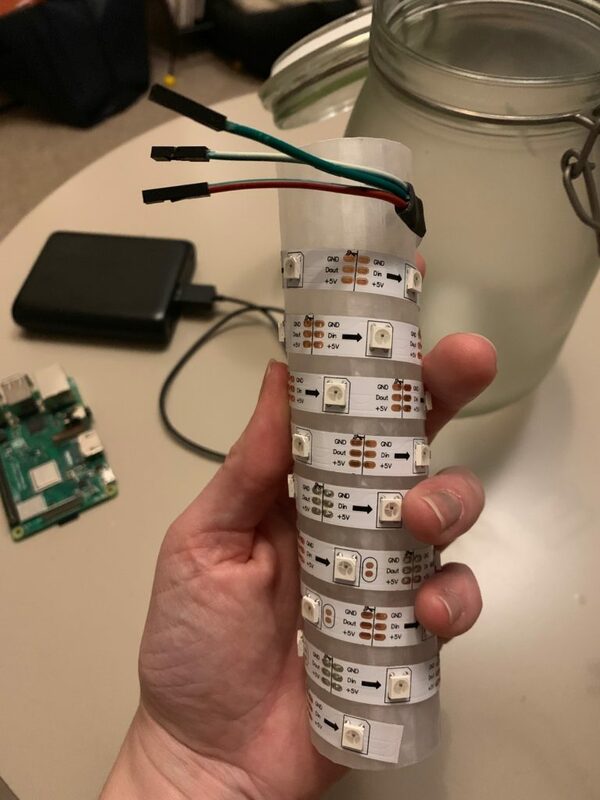 I was a fun project for me too as I create a 3D design in Tinkercad and 3D printed the inserts for the LED strips, I then sprayed the mason jars with a frosting spray to defuse the light.